Korea Investment Corporation (KIC) will look to a broader range of emerging markets and consider investing in real estate debts to further diversify its developed market- and equity-focused portfolios, said its senior officials. KIC’s Chief Executive Officer Heenam Choi said that the sovereign wealth fund would study real estate and infrastructure investments as part of effort to diversify portfolios, adding that strong demand by long-term, liquidity-backed institutional investors would outweigh concerns about high valuations. “We will further deepen the diversity by region, sector and strategy …, taking note of structural changes in economy and society such as demographic changes, online shopping growth and rising demand for telecommunication data,” Choi told the ASK 2018 Global Real Estate & Infrastructure Summit in a keynote speech on Oct. 23. 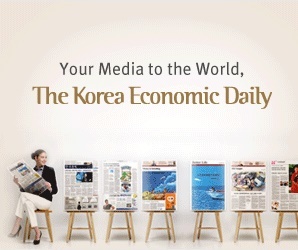 KIC’s director Chung Hyun Lee said later on the day that KIC has been stepping up co-investment and direct investment in infrastructure programs. By sector, it has aggressively invested in telecommunications-related deals so far this year. “Now we’re co-working with managers to set up more customized portfolios. For diversification, we’re interested in emerging markets in addition to the existing developing markets,” he told a panel discussion of the summit hosted by the Korea Economic Daily in Seoul, without elaborating further. Meanwhile, CEO Choi picked housing properties in major European countries and logistics centers in Asia, citing imbalanced housing supply and demand in Europe and rising demand for storage facilities.